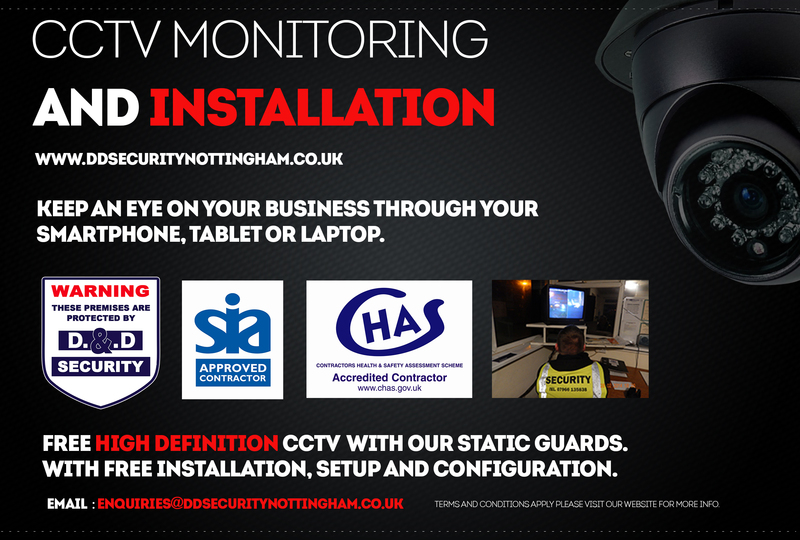 We now offer free cctv with our static guards. DD Security Nottingham a nationwide security firm thats offers the very best in security to Nottingham and the surrounding areas. Not only are our team fully accredited in Security guarding, key holding and door supervision they are experienced to deal with potentially hostile situations that could occur during work hours. All of our door security guards recieve on going training to ensure they are kept up to date with the very latest standards and protocols goverened by the SIA. If you would like more info about any of our security services that we provide please get in touch.